Gate Repair Placentia offers professional services for your gate to ensure smooth and reliable operation on a daily basis. Our company offers repair, replacement, and maintenance services to all residential gate owners in the city. We service all types and makes of intercoms, and are the one of most reliable providers in the area. Your sliding gate won't open? Is the opener making a strange noise? Count on the best team in California to take care of it for you! Be it classic wooden gates or modern wrought iron ones, “Gate Repair Placentia” got you covered. No matter what type of gate you own, count on our experts to handle any situation with professionalism and speed. Be it for your business or home, we know how important it is to keep the gate fully functional and safe to use at all times. 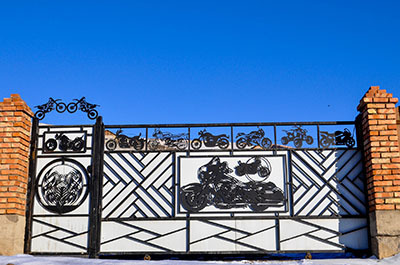 Our company understands that gate automation is no longer just about luxury. It is also, and more importantly, about an effective security system that will help put off criminals at bay. With properly working gates, you can sleep soundly at night, knowing that you are protected from burglaries and intrusions. That is why our gate repair specialists strive to do their best every time to solve any problem on the same day. Our Gate Repair Company in Placentia is an expert service provider for gates of all types, sizes, and systems. 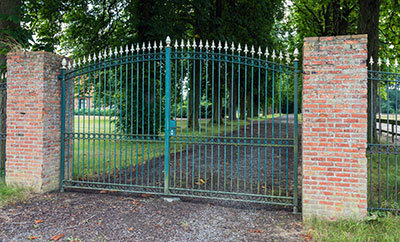 From ornamental iron gates to driveway gates and more, we can repair, install and maintain every type and material. * If your electric gate is not closing, count on our fast same day service. * If you or a guest accidentally crashed onto your driveway gate and you need it repaired, we will fix it for you. * If you need additional gate security, we can help install an automatic gate opener complete with an intercom system for your convenience. * If you need a reliable remote access, we can devise an effective plan tailored to your needs and requirements. You can count on us for both residential and commercial gate services and for all sorts of troubles. Whether it concerns your driveway gate hinges, automatic opener, Multicode remote, or sliding gate rollers, nothing is too much to match the skills of our technicians. If you ever find yourself locked out of your driveway gate – we'll be there as fast as humanly possible. Let us take care of any of your gate repair, maintenance and installation needs! We have been offering gate repair services for a long time now, and assure every customer in California of our capacity to install and service their gates in the most professional manner. Our team is devoted and experienced, and provides same day emergency service in zip code 92870. Our company has been offering professional gate services in the area for years now. We offer various services, such as swing gate repair, gate opener installation and repair, intercom systems support and basically anything that has to do with your gate! For the best service in Orange County, contact us today. As the preferred and most widely used gate service in the area, there is no one better suited to provide you with installation and repairs. If you’re interested in a new driveway gate, let our experienced service technicians handle the job for you. They can quickly and effectively install your gate. When you’re having problems with your driveway gate opening, this can be a frustrating ordeal that can also cause you to be inconvenienced. Get fast and efficient help from us any time you need it. When you have a gate emergency, we make sure the problem is resolved quickly. 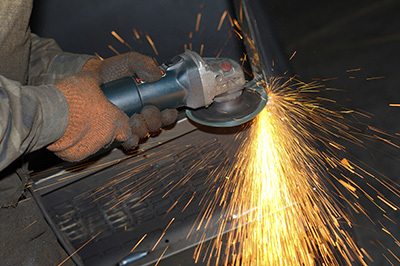 Rely on us to get the job done so that you can get on with the rest of your day. We are an experienced gate repair company that offers a wide range of services for both residential and commercial applications in California. Our fast and cost-effective gate solutions are suitable for various types of gates. Every feedback from our clients is important to us. Find out what they have to say about our service below. Our company services in Placentia from Loos Zoya on Vimeo.